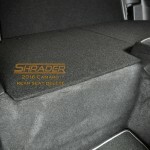 Categories: Chevy Camaro, Chevy Camaro 2016-18. Tags: camaro, Rear Seat Delete. 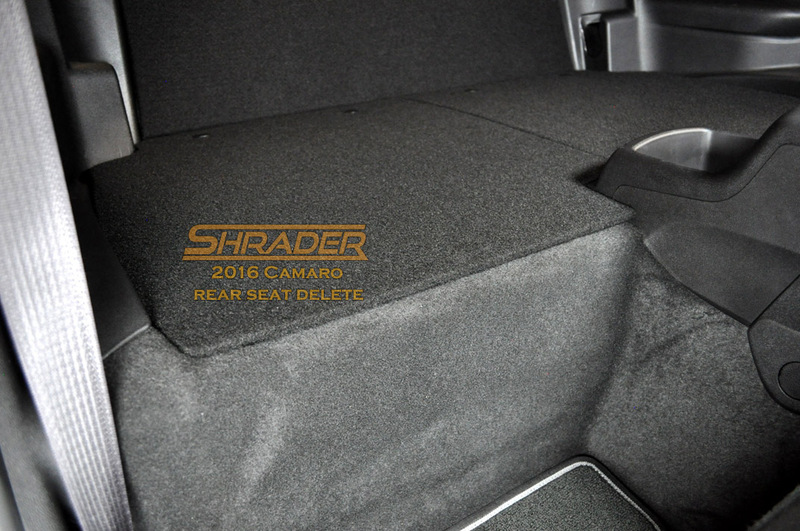 The Shrader rear seat delete for the 6th generation Camaro is finally here after popular demand. 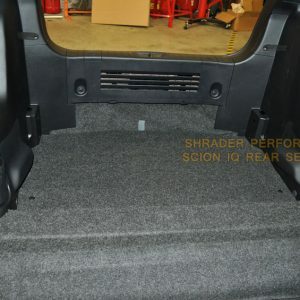 We listened closely to what our customers wanted, and included things like a fold-down rear panel for access to storage through the trunk. 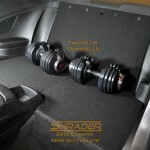 Simply pop out 4 plastic pins and the rear panel folds down in seconds to carry long items into the trunk. 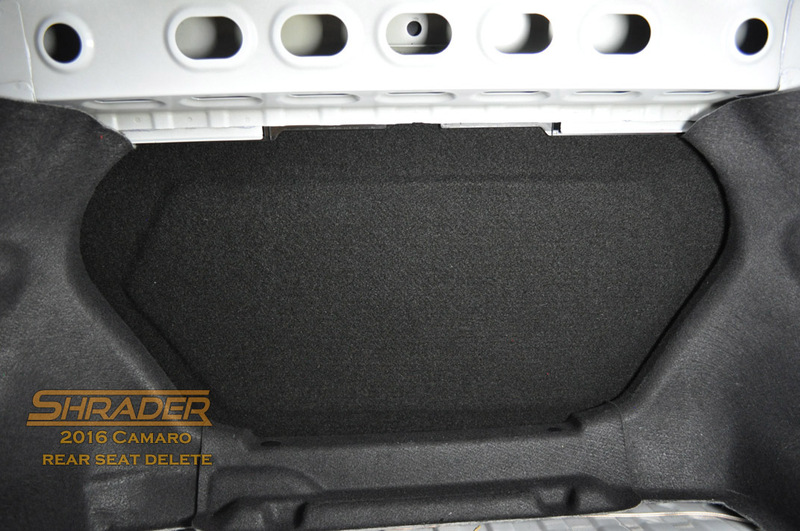 We also built the support braces under the lower panels to support over 100 lbs of cargo. 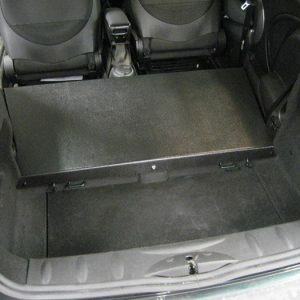 Our rear seat delete kits are made with a strong ABS Plastic platform, formed to shape for superior rigidity and strength, and covered in high quality Black carpet to match the factory OEM style carpet. 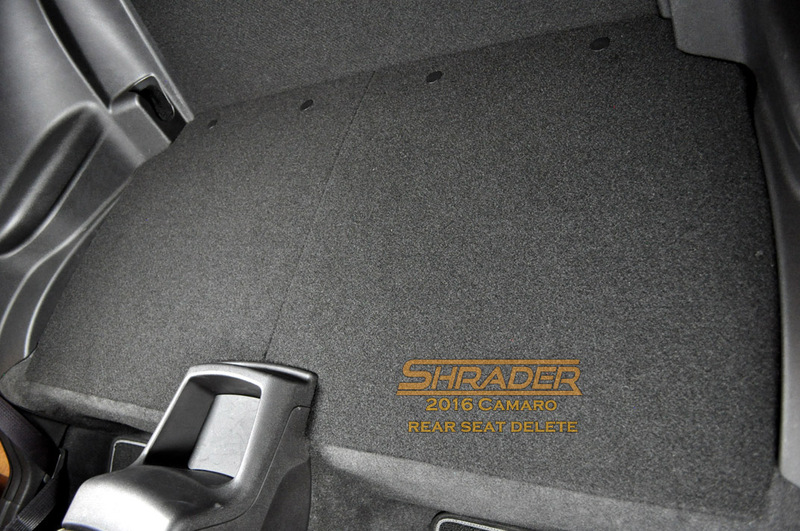 We are the only manufacturer to use this exclusive design, and all units are built here at our facility. 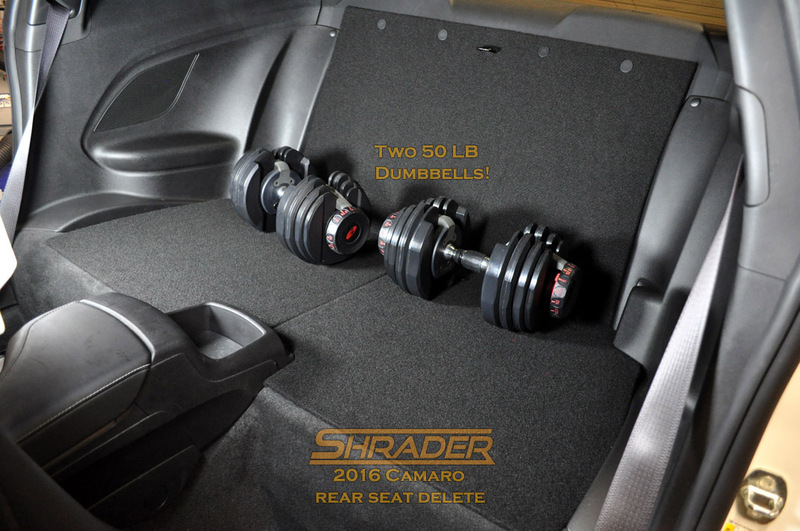 The total weight loss is 20 pounds from your Camaro to provide more acceleration, faster track times, and more cargo space. 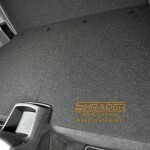 We include sound insulating padding on all carpeted panels as standard equipment, to help subdue any exterior noises. Installation is super easy with this kit and we include complete instructions. 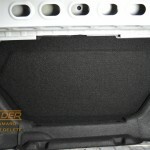 No removal of the interior side panels is needed. 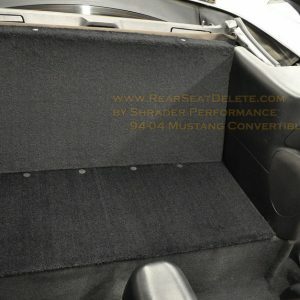 Simply remove your seats, and a few components, and reinstall the new panels. 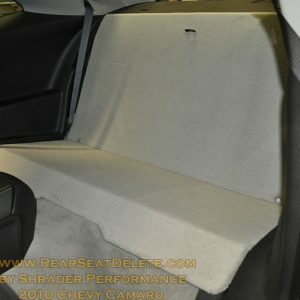 Completely reversible in minutes if you decide to put your seats back in on occasion. 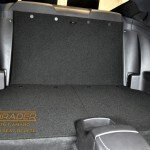 The lower panels can be lifted to provide access to small storage space underneath to tuck items out of sight, such as small tools, a handbag, or other items you don’t want visible in the car. 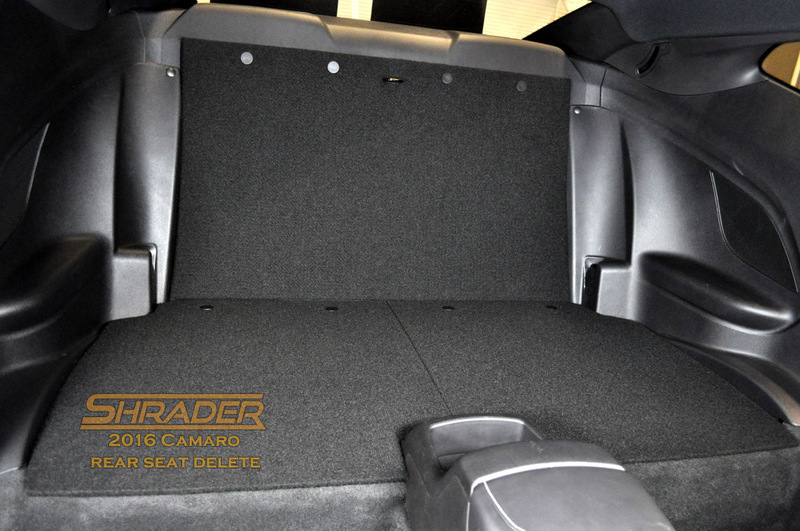 This storage space can also be used to mount other aftermarket components out of sight, such as stereo components.